Mark Lowe has played portions of eight seasons and 264 games in the AL West with Seattle, Texas and L.A. Angels. 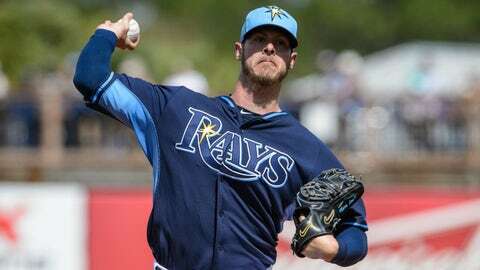 PORT CHARLOTTE, Fla. — From West to East, Mark Lowe is eager for his next test. Lowe, a reliever, has spent parts of eight seasons in the major leagues, all in the American League West before joining the Tampa Bay Rays on a minor-league deal with an invite to spring training last November. The right-hander earned a career 4.17 ERA in 264 games with the Seattle Mariners (2006-2010), Texas Rangers (2010-2012) and Los Angeles Angels (2013). He made the Angels’ Opening Day roster, before he was designated for assignment last May and signed to a minor-league contract with the Washington Nationals in June. He went 3-1 with a 3.14 ERA and 37 strikeouts in 24 games with Triple-A Syracuse. This spring, Lowe has been solid with another change of environment. The 30-year-old Houston native is 1-0 with a 1.08 ERA and nine strikeouts in six appearances. If he stays on the big-league roster, he’ll offer manager Joe Maddon depth with a bullpen that features a pleasing mix of youth and veteran experience. FOX SPORTS FLORIDA: How has the transition gone for you? LOWE: From the moment I walked in here, everybody was laid back. We have a lot of fun. We have a lot of things in common. I fit right in. FSF: What was your perception of the Rays before joining them? LOWE: I played with (infielder) Will Rhymes in Triple-A last year. We had a lot of talks about coming here, and he told me over and over, "You’d be a great fit in Tampa. You’ll love the guys, and they’ll love you. So if they come after you, think about it." And sure enough, they were one of the first teams to come after me right when the offseason started. It didn’t take us long to decide to come here. FSF: Were you surprised that they showed interest in you? LOWE: They showed a lot of interest last year too. I ended up going somewhere else. I kind of regretted the fact that I didn’t choose here. But everything happens for a reason, and I’m here, and I’m who I should be as a pitcher. FSF: In what ways does this place make you feel like you belong here? LOWE: Just the team, the way the guys are. No matter who you are, they kind of include you. And that’s hard to do being on the other side and having guys come in that you consider invites. You don’t know what the future holds. But these guys don’t view anybody like that. When I walked in, we were playing video games and doing a Stanley Cup tournament and golfing together my first day in. And I think it starts from up top. That’s how Joe is, that how (executive vice president of baseball operations) Andrew (Friedman) is. Everybody is here for the same reason. Everybody has got great friendships. The environment that Joe creates on the baseball field is great too. It has been a laid-back spring training. With my 10th year of spring training, it’s refreshing. FSF: Has there been one particular voice who has helped the most — either a pitcher, a position player or someone else? LOWE: I think everybody. There hasn’t been one specific guy. I’m with these guys (other pitchers) most of the day, because our lockers are right next to each other, so pretty much all starters. But everybody. Everybody has been awesome. There’s great leadership from all different aspects, not just one guy — there’s pitchers, position players, catchers. It’s a pretty good balance. FSF: You spent a lot of time in the AL West with various teams — the Mariners, Rangers and Angels. What are your thoughts about a transition to the AL East? LOWE: I think it will be more competitive. The AL West became very competitive my last couple years there, but I don’t think there’s a more competitive division in all of baseball (than the AL East). You realize that in spring training this year facing Baltimore and Toronto, Boston — all those teams. â¦ They’ve all got great pitching. So it speaks volumes of what the clubs have done to get there. But I think pitching to the best competition on a daily basis is going to make you better. I’m excited. Hopefully, I get the opportunity to pitch for this team here in this league. 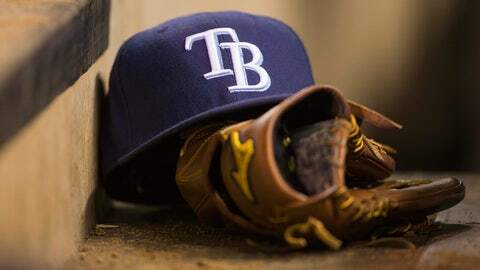 FSF: Many people make comparisons between the Rays and Oakland Athletics for obvious reasons. In your time when the Rays so far, and with your background facing the Athletics, do you see any parallels? LOWE: Yeah, pitching. Oakland always had great pitching. They would have guys come up, and you would just shake your head and go, "They’ve got another." We have a very young staff here mixed in with a couple veterans who know what they’re doing. They know how to get guys out with their stuff. I haven’t really scored a whole lot of runs over the years. But the close ballgames are won from (Oakland’s) pitching. And it’s the same thing here. FSF: You’ve had a strong spring. In what ways do you credit your performance? LOWE: I went through some mechanical stuff over the last couple years, and I was able to fine-tune those and correct it this offseason. I’m just trying different stuff and found something that worked for me. It has helped me to be really consistent on a daily basis. Every day I go out, I have my pitches. And it always hasn’t been that way for me. I’ve just been confident. When you’re feeling good, the last thing you have to think about is what you’re body is doing. All you can do is put all your focus on the hitter. It makes pitching a lot easier. FSF: How difficult is fighting through mechanical problems as a pitcher? LOWE: It’s impossible. It’s impossible. It’s impossible to be at your best when you’re doing that. The focus isn’t the way it should be. Every time you’re pitching, you need to focus on the pitch you’re making, not what your body is doing. FSF: What’s your vision for what you could be on this team? What role do you want to play? LOWE: I haven’t had any dialogue with Hick (pitching coach Jim Hickey) or Joe about that. But you know what? It’s such a long year, whatever role it takes for me to help this team. I’ve never really been a guy who sat back and (said), ‘Well, I only want to be in the big leagues if I’m doing this.’ That’s not the case. Being in the big leagues is where I want to be. I don’t care what the job is. There are 25 guys on a roster for a reason. Every single one of those guys is a valuable piece, and everybody has got a job to do. So whatever they have me do, I’ll do it. FSF: What do you think this team can do this year? Any predictions? LOWE: Just the vibe — I’ve been to a couple World Series already (with the Rangers in 2010 and 2011) — the vibe’s pretty good in here. They’ve got guys who know they can get the job done. If everybody can stay healthy and do what they need to be doing, there’s no reason why we can’t be in that situation. We’ve got all the right pieces here. We’ve got very smart people working up top. They’ve got a formula that works. It has been working for quite awhile. Basically, the World Series. FSF: With the teams you were on that reached the World Series, what traits did they show in spring that hinted at their potential? LOWE: Just confidence. You know when you walk in that the guys have confidence in themselves and as a team. You go out every day expecting to win. When you don’t win, you’re really surprised. It’s only spring training, but these guys are competitors — just playing video games and how upset we get, losing a game of NHL hockey. If you field 25 competitive guys on a team like that, good things are going to happen.